We all know about the Panda Algorithm very well, but actually the term "Panda" comes from Google engineer Navneet Panda, who structured the technology that made it possible for Google to prepare and implement the algorithm. Google Panda is a variation to Google’s search results ranking algorithm which was first released in February 2011. This update was made to lower the rank of " low-quality sites", and thus “higher-quality sites” comes near the top of the search results. There were 28 Panda updates launched by Google and Panda 4.2 was the last one which came on July 18, 2015. From the day of rolling out the Panda update, there was a huge impact on search results. Almost 12% search results affected due to this update just after implementation by Google. Below mentioned all the Panda updates of Google. Google panda or Farmer update is focused on quality of the content delivered in a pages of websites. It helps People in finding high-quality sites in Google’s search results. This change tackles the difficult task of algorithmically assessing website quality. So this change had affected low quality sites so badly, that they had to update the low quality pages to improve their whole site’s ranking. It’s better to focus on developing good quality content rather than trying to optimize for any particular Google Algorithm. Good quality content basically content means fresh, informative and interesting content. After successfully implementing the first Panda update, lots of trusted publishers and high quality pages started getting more traffic. After this, Google rolled out Panda 2.0 update globally to all English language Google users. Post this implementation, Google started collecting data about sites which users had blocked. This was an indication to Google that those sites might be offering low user experience. After a month Google again launched a new minor update, which was made to enhance the algorithm of Panda 2.0. Search results were not affected that much in this update. This update was made for the web pages which used copied content from any other original source of content. This targeted the sites which used to scrap content from other sources. In this implementation Google tried prevent the low quality copied sites and push original content higher up on the search engine result pages. This was a small algorithmic change of last panda update which expanded Panda filter and gave better ability to result in higher quality content for better user experience. After successfully implementing the Panda update globally in English language, Google rolled out Panda 2.4 the same features for all languages except Chinese, Japanese and Korean. This change impacted almost 6-9% of queries for most languages. Google made some further changes after few months in Panda Algorithm. This update was made to wider the analyses of searching high quality content. This was a little change on Google Panda update, which broadened the analyses of search results according to valuable content, consolidated duplication, improving usability and engagement quality. After releasing the flux update Google was rolled out several Panda update which were Panda 3.1, 3.2, 3.3, 3.4, 3.5, 3.6, 3.7 and 3.8. These all were minor Panda refreshing data updates. Search results were not affected that much but became more accurate and sensitive. Google rolled out another update on Panda algorithm. It did not impact the search results much, although some sites noticed the affect 5 to 6 days after the update. It was a little change on the Panda update and designed to remove the low quality sites from the search engines. Then there were two more minor refreshing updates were launched by Google, which affected almost 1% of the results. This was one of the major updates of Google Panda. Google rolled out this update by changing the Panda data and the algorithm as well. It was overlapping with the previous update EMD (Exact Match Domains) .After this change 2.4% of the search queries were affected. Then there were 4 more updates were launched by Google to further improve the results. Post this update Google stop giving priority of those sites which used false keywords in their domain and got good ranking. Google prioritized the domain name which had the content depth corresponding to the keyword which used in domain URL. Again Google rolled out an important update – Panda 25 started dealing with spammers and people who abuse the process. Google made some changes in this update by changing the indexing process of Data. It is almost like the Google Dance update in which Google ran the update approximately for 10 days. Google checked the effect after implementation and saw the ranking dance. 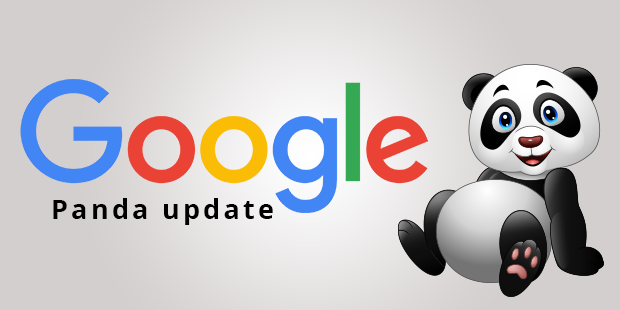 Google named the new algorithm update as the Panda Dance, knowing that keyword rankings for all sites were began to dance or jumped up and down each and every month. Google rolled out a new update on Panda. Goal of this implementation was to soften some previous penalties on the low quality sites. Some targeting methods were changed to get fine search results. It was one of the most important updates of Panda. Due to this change approximate 7.5% of English language queries were affected. Main goal of Panda update was to penalized the poor scraper sites, and boosting sites with great quality content was reached by this Panda updates. Google rolled out another Panda update which affected 3-5% of search results based on the location. Google worked on it so accurately that it improved the Panda algorithm as well. It elevated the high quality small and medium size sites so perfectly that everyone tried to make their site fresh and informative. Then, there was one more and last update Panda 4.2 (Launched on 17th July 2015) rolled out by Google, which impacted the English search queries of about 2-3%. Although it is a Google algorithm by which Google can monitor the search results, but it also important that digital marketer should know and understand the logic. Whenever you try to optimize your website or want to rank better in search results, this algorithm understanding helps you a lot. Google Panda is one the major algorithm update which everyone wants to know. As a SEO prospective it’s a vital one to analyze the whole Panda system and implement it on their website.